Love shouldn’t be exhausting. It shouldn’t leave you feeling stressed out, less than, and unappreciated. Love is supposed to be free, natural, and almost a complete release from the monotony and routines of life. 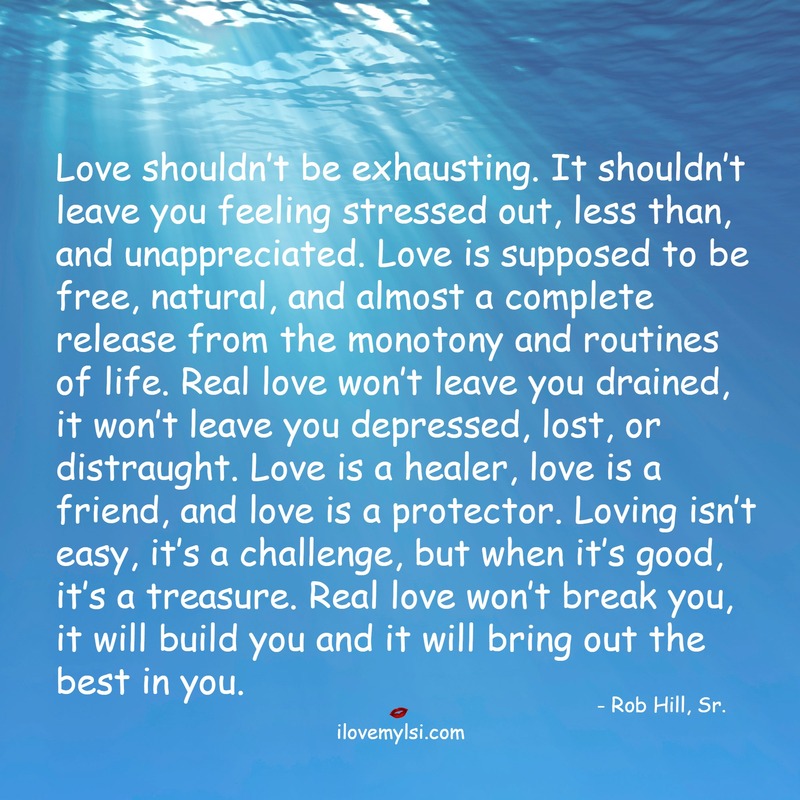 Real love won’t leave you drained, it won’t leave you depressed, lost, or distraught. Love is a healer, love is a friend, and love is a protector. Loving isn’t easy, it’s a challenge, but when it’s good, it’s a treasure. Real love won’t break you, it will build you and it will bring out the best in you.